There is a a link to a PDF at the bottom of this post where you can download these prompts. Not only every New Year but each new day brings with it the potential for change. 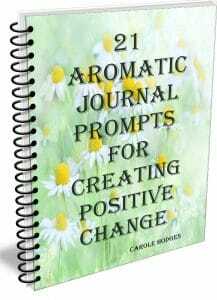 Use the prompts below to consider how you’d like to add or use essential oils to create positive change in your life. 2. In what areas of aromatherapy, will you challenge yourself? Are there skills you want to develop or a talent you want to hone even more? 3. What new essential oils do you want to work with? What will you gain from working with them? 4. How will your life be different this year? Are there some big changes you’d like to make? Which essential oils can help you achieve these changes? 5. What would you like to stay the same? Are there areas in your life you’re already really happy with and don’t want to change? 6. Consider projects you want to work on. Why do you want to work on these projects? What essential oils will you use to help you start, continue and complete your projects? 7. What 3 things do you most want to accomplish this year? Why? What essential oils can you use to help you accomplish these goals? 8. Who will you work or study with? Think of your dream team! What would that look like? 9. What would you like to let go of and leave in your past this year? Which oils can help you and how will you use them? 10. What aromatherapy books, magazines or journals have you read over the last year that made an impact on your life and/or the way you use or think about essential oils? 11. What aromatherapy conferences or summits have you attended in person or online over the last year that made an impact on the way you use or think about essential oils? 12. 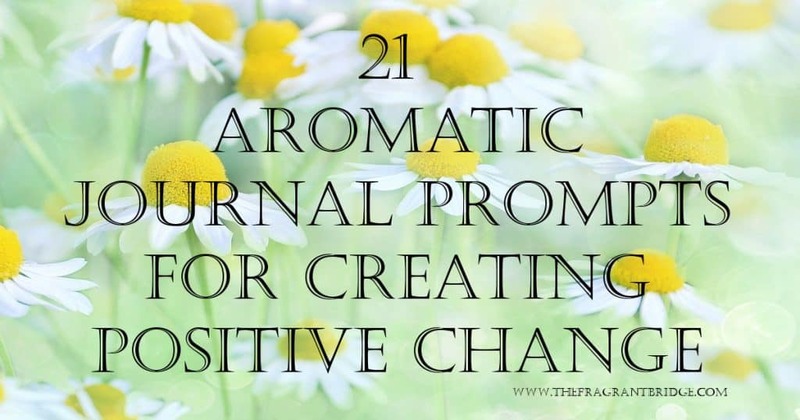 What aromatherapy books and journals do you want to read this year? 13. 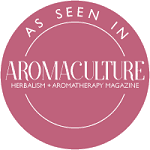 What aromatherapy classes and/or conferences/summits do you want to attend this year? 14. Are there areas in your heart, mind, or body where you need healing? What oils can you use to assist this healing? Is there someone in your life that you trust to assist you with this healing? 15. Is there clutter in your home or office that you’d like to let go of? (You may choose to donate or sell what you don’t need or like or you may simply put it out with the rubbish.) What oils can you diffuse to help you let go of the clutter? 16. What self-limiting beliefs will you cast off this year? A self-limiting belief keeps you stuck where you are. (For example, a self-limiting belief might be: I have no talent, or I can’t find a job I love.) What oils will you use and how will you use them to change these beliefs? 17. What’s a new mantra you’ll use to replace a self-limiting belief? (For example, I am a talented aromatherapist with a gift to share, or I can create a job I love.) What oil and perhaps crystal blend will you make and use to reinforce this mantra? 18. Are there new routines you’d like to establish? Think about habits you’d like to replace with better or healthier ones. What essential oils will you use to help you establish these new routines? 19. What brings you joy? How can you fit more of it into your life? What essential oils can you use when joy has temporarily left your life to restore it? 20. If you had to pick one word to sum up the past year, what word would you choose? Describe why you chose that word. 21. What one word would you like to be your anchor for this year? How will you use this word to shape your decisions? What oil or blend best encapsulates this word? If you would like a PDF of these questions with space to write your answers click on the book. This will also sign you up for my monthly newsletter and Subscribers Resource Page. This entry was posted in Essential Oils on January 16, 2019 by Carole Hodges.